Virginia J. Gibson, 93, of Chattanooga, passed away on Tuesday, November 6, 2018 at her residence. 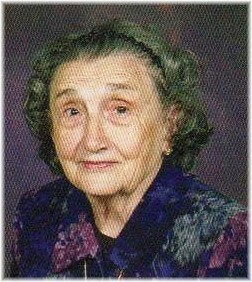 Mrs. Gibson was a member of East Ridge Baptist Church/Crosspath Church since 1938 and retired from Loveman’s Department Store with many years of service. Her husband, Homer Edward Gibson, preceded her in death. Survivors include her daughter, Brenda (James) White, Jr.; grandchildren, Tracy C. (Greg) Wright, James K.(Bree) White, III (Bree), and Elizabeth (Joshua) Wickline; great-grandchildren, Kayla, Cole, Caroline, Philip, Owen, Lewis, Emily, & James. Funeral services will be held Friday at 11:00 a.m. in the South Crest Chapel with Pastor Bill Doremus officiating. Interment will follow in Forest Hills Cemetery. Please share expression of sympathy at lane-southcrestchapel.com. In lieu of flowers, contributions may be made to Crosspath Church, 4201 Ringgold Road, East Ridge, TN 37412. The family will receive friends Thursday from 4:00 p.m. until 8:00 p.m. at the South Crest Chapel of Lane Funeral Home & Crematory, at the end of historic Missionary Ridge, Rossville.